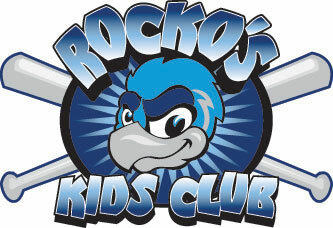 February 25, 2009 - LOVES PARK, Ill. – The Rockford RiverHawks announced Wednesday that they are retaining two more players from last season. The team has exercised the 2009 options on outfielder Carlos Rivera and pitcher Shawn Balteff. The RiverHawks also announced the release of pitcher Kyle Dempsey. Rivera (below) hit .277 with a home run and nine RBI in 33 games last season, his first as a professional. Rivera, 23, played his last two years of college baseball at Tusculum College. Rivera hit .395 for his career at the NCAA Division II institution and in 2007 was named an All-American by the American Baseball Coaches Association and the National Baseball Writers Association. Balteff (top) was 2-2 with a 2.73 earned-run average and a save in 27 relief appearances last year. He struck out 37 and walked 21 in 26 1/3 innings. Both Balteff, 25, and Rivera have Rookie-2 status in the Frontier League. The RiverHawks signed Dempsey last July after his release by the Washington Wild Things. Dempsey was 3-0 with a 2.96 ERA in nine appearances, three as a starter, with Rockford. Dempsey plans to get married.